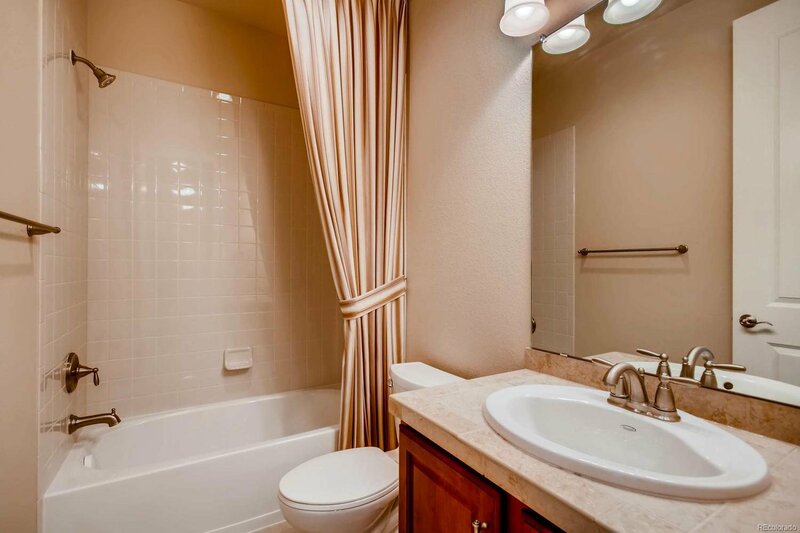 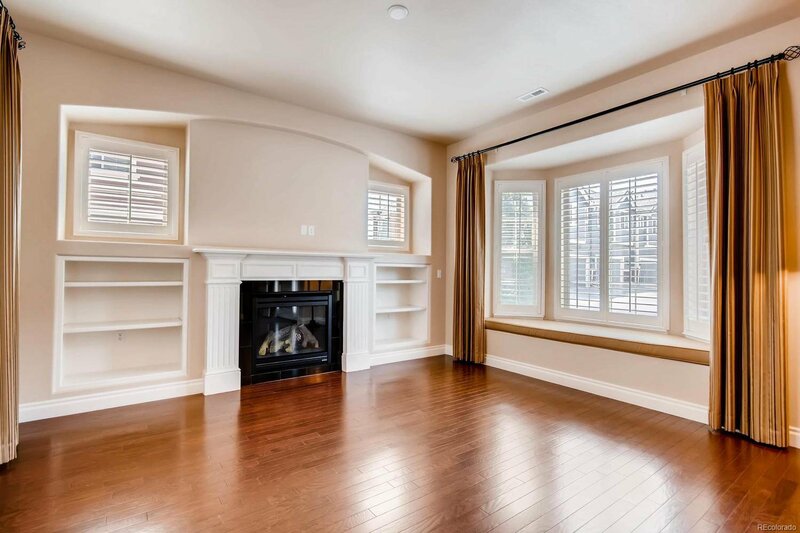 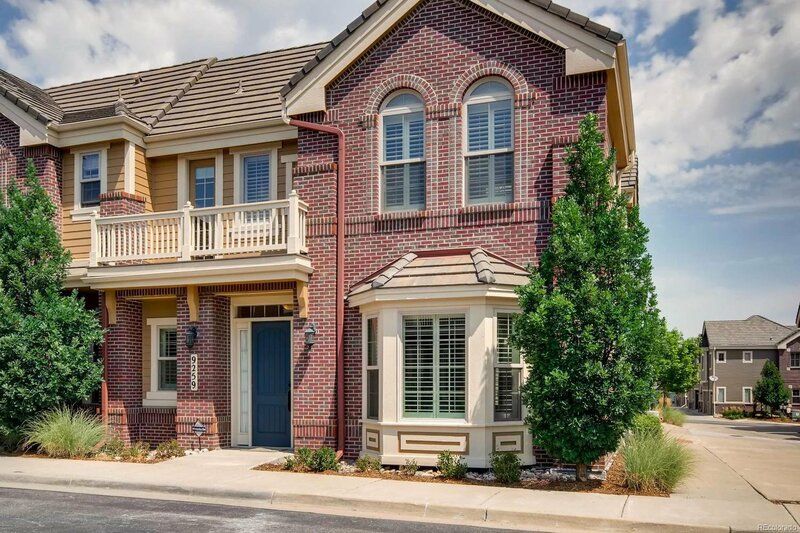 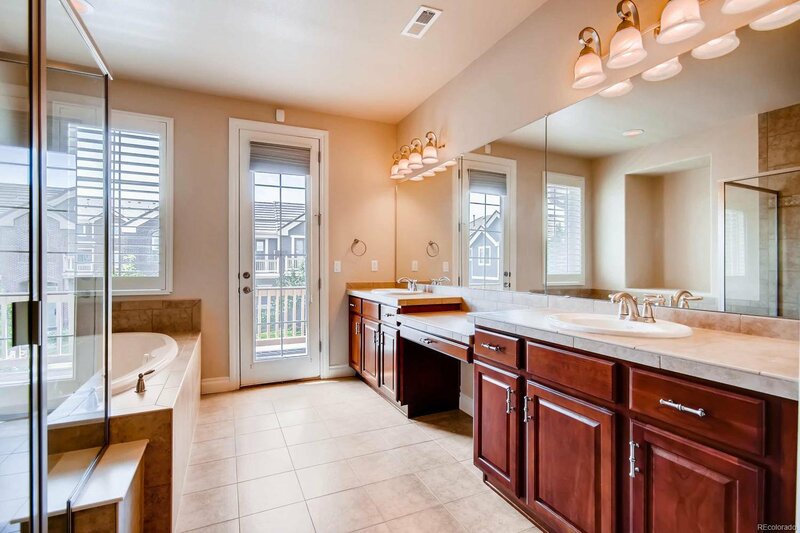 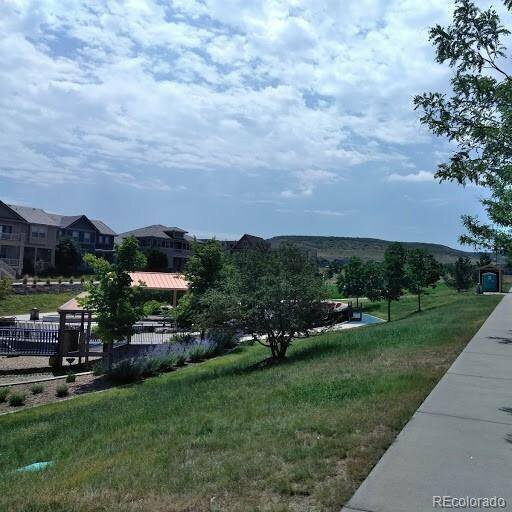 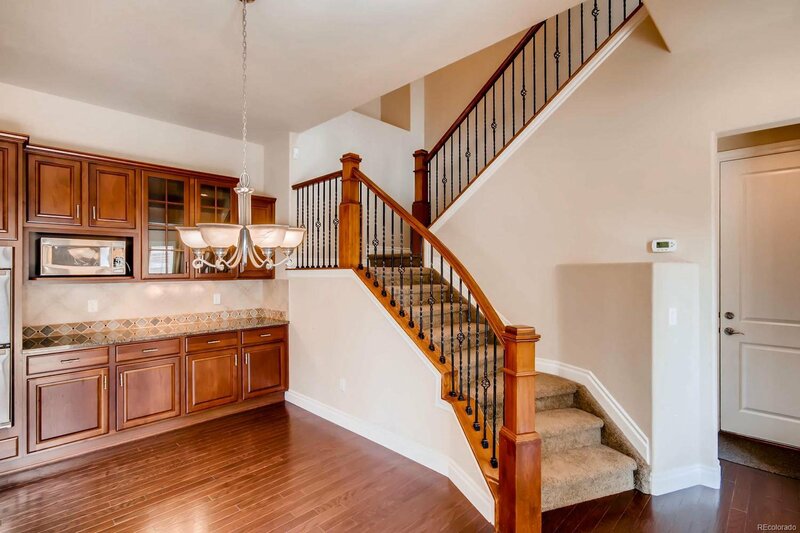 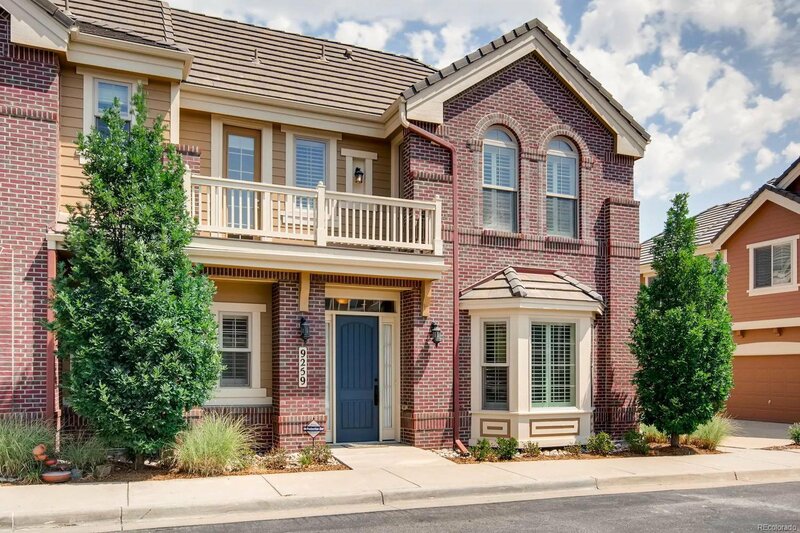 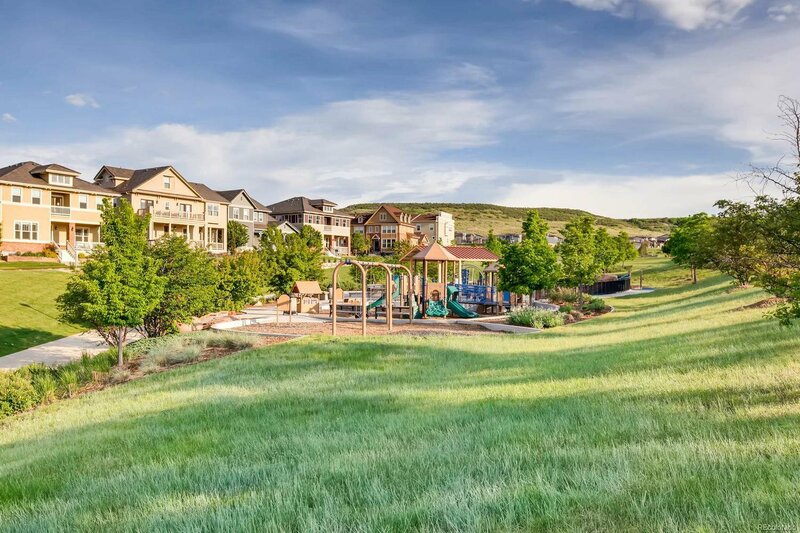 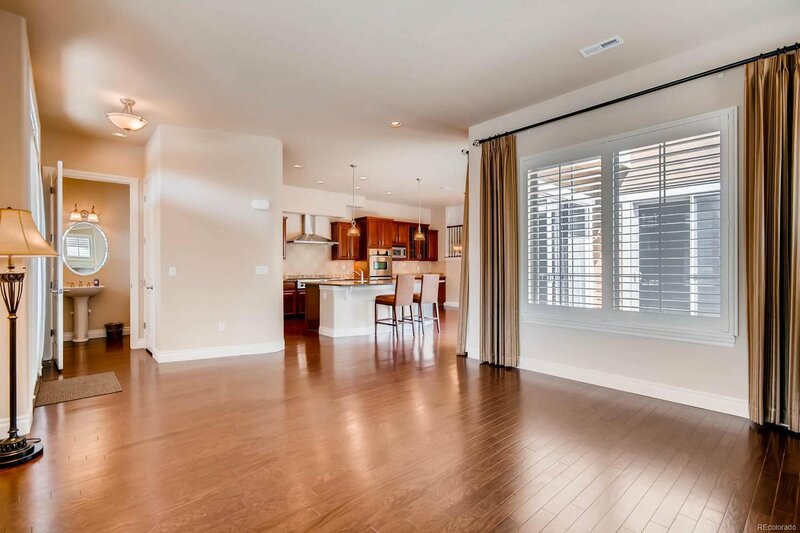 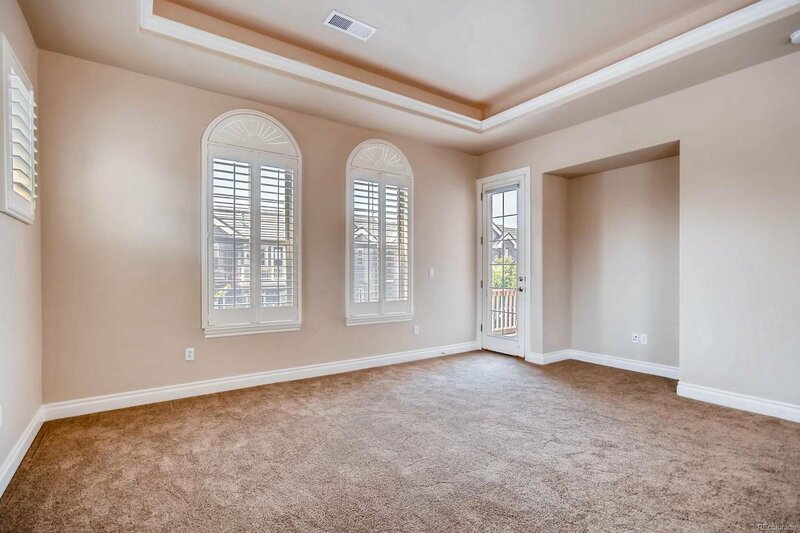 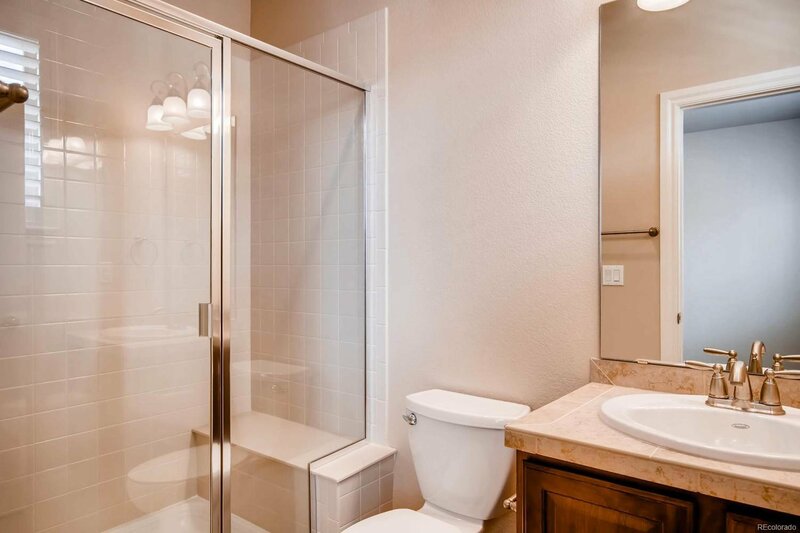 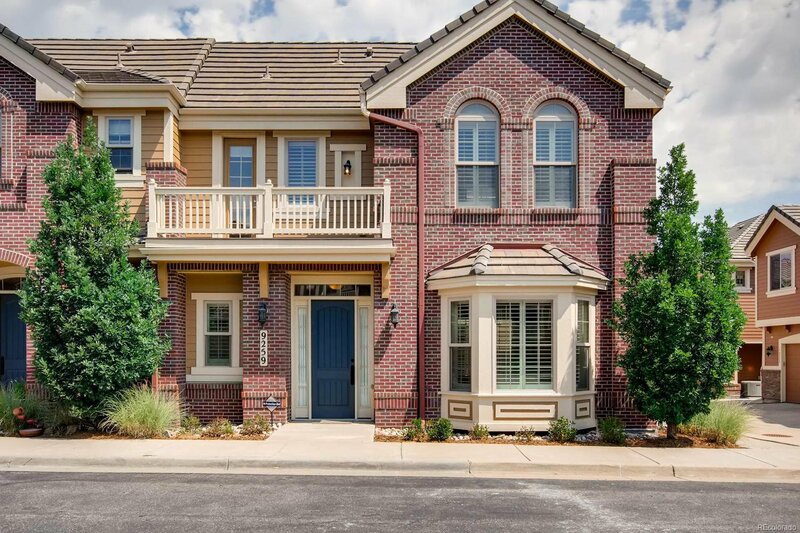 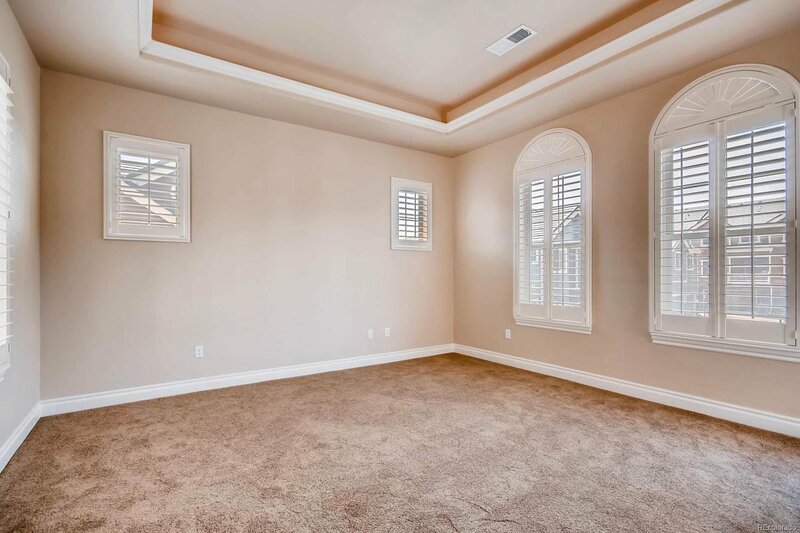 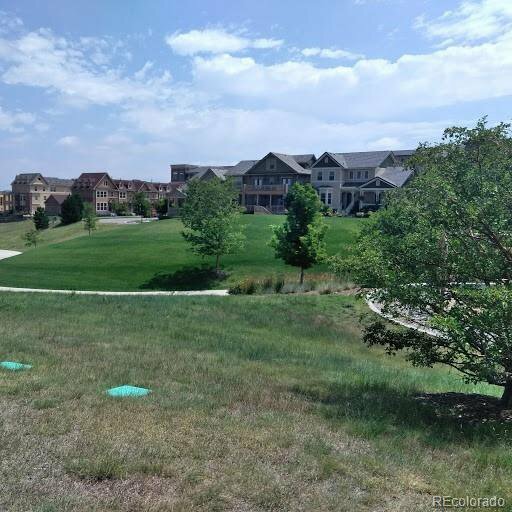 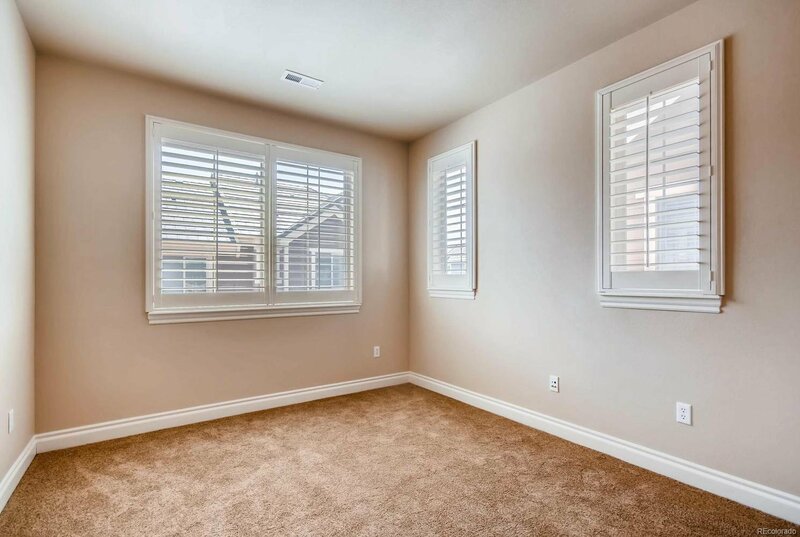 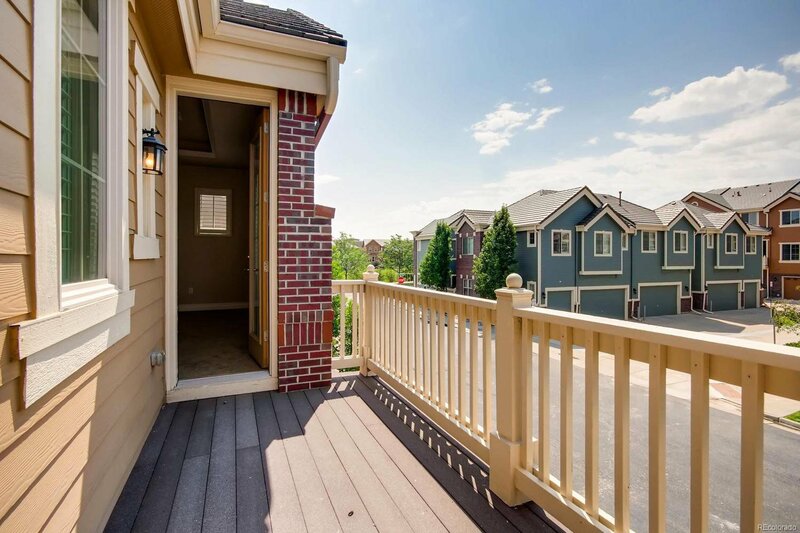 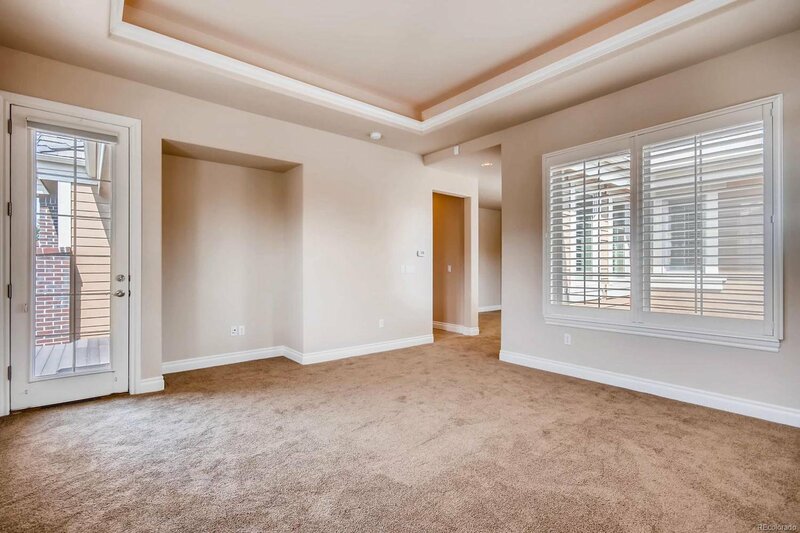 *A rare opportunity to own an end unit luxury townhome in Lone Tree, quiet location steps from the park* This coveted Madison plan is over 2700 square feet in a maintenance free environment and includes 3 beds/loft/and study*, shutters in some rooms. 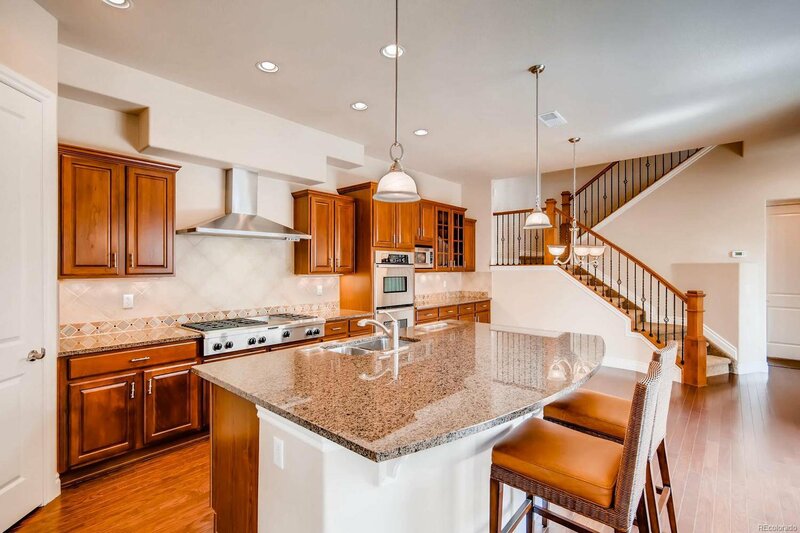 It features a gourmet kitchen with a large oversized granite island, stainless appliances including a gas cooktop, double ovens, refrigerator and walk-in pantry, roll out drawers* Enjoy year round your private patio with outdoor fireplace and built-in grill* 3 car garage* The large master suite includes a 5 piece bath, walk in closet, sitting area, & balcony* The main level features hardwood floors on most of the level, a family room with fireplace, gourmet kitchen, dining area, and study. 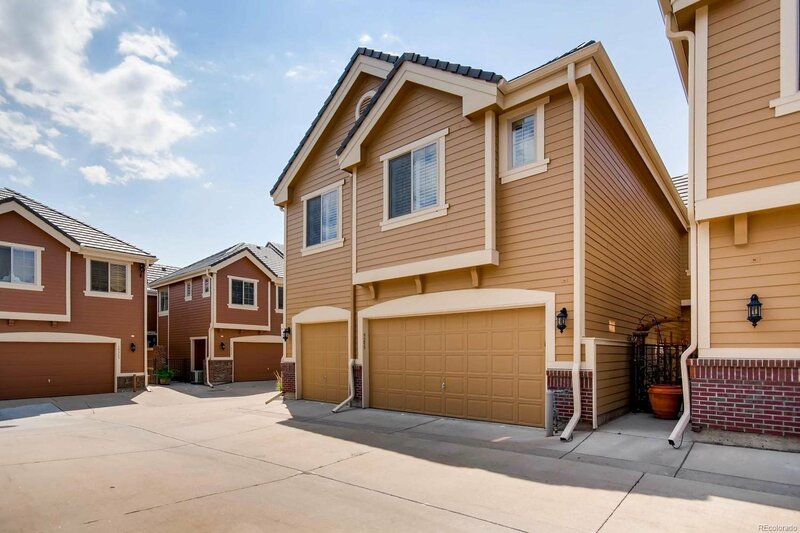 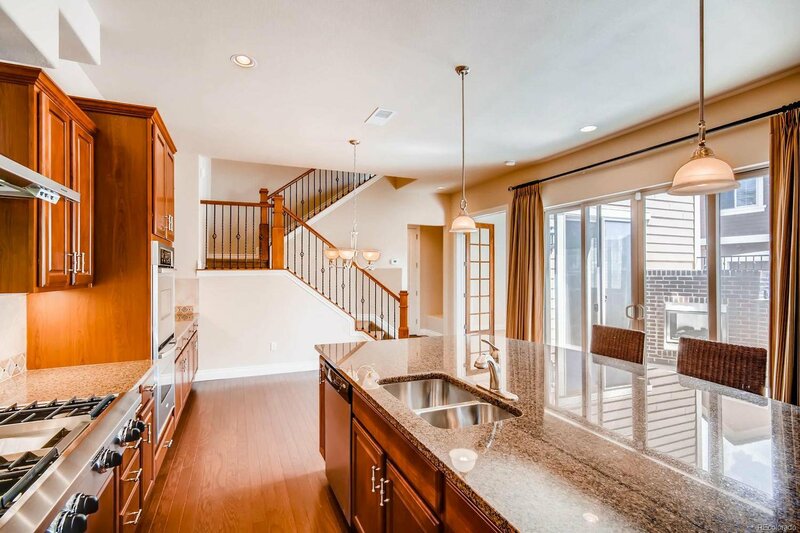 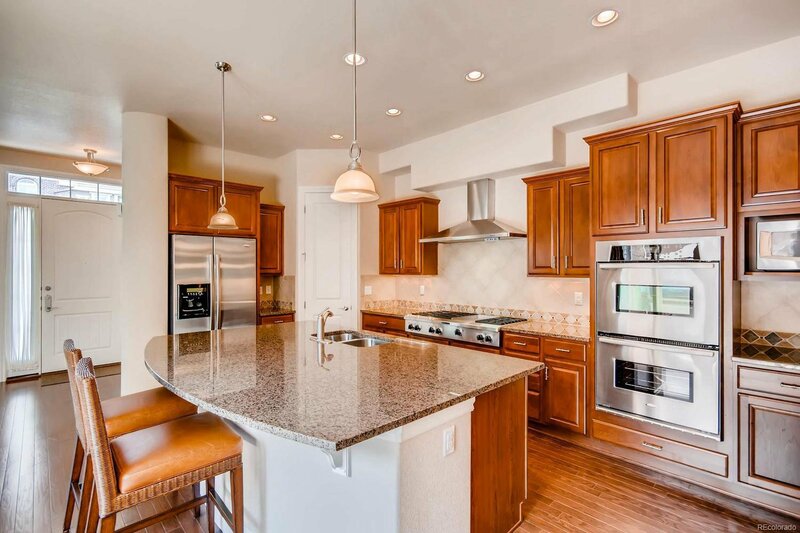 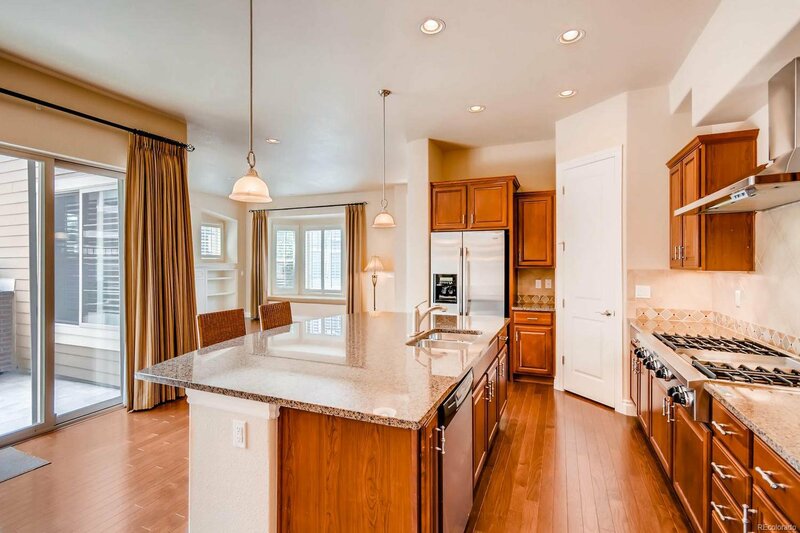 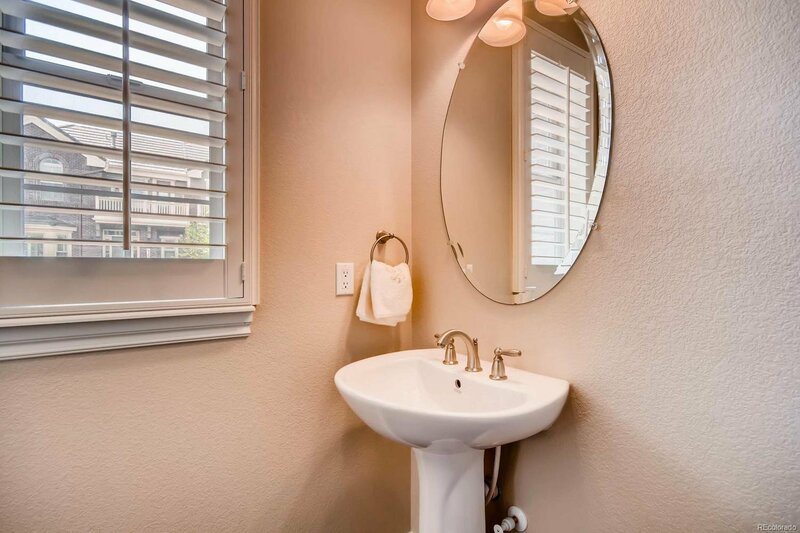 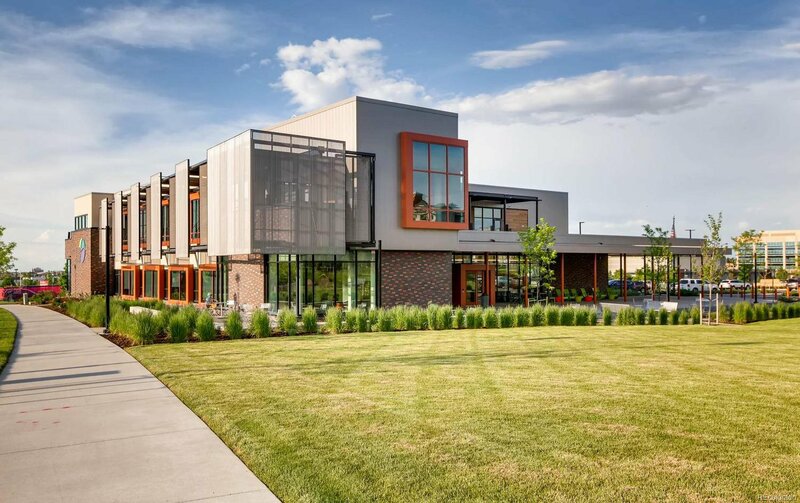 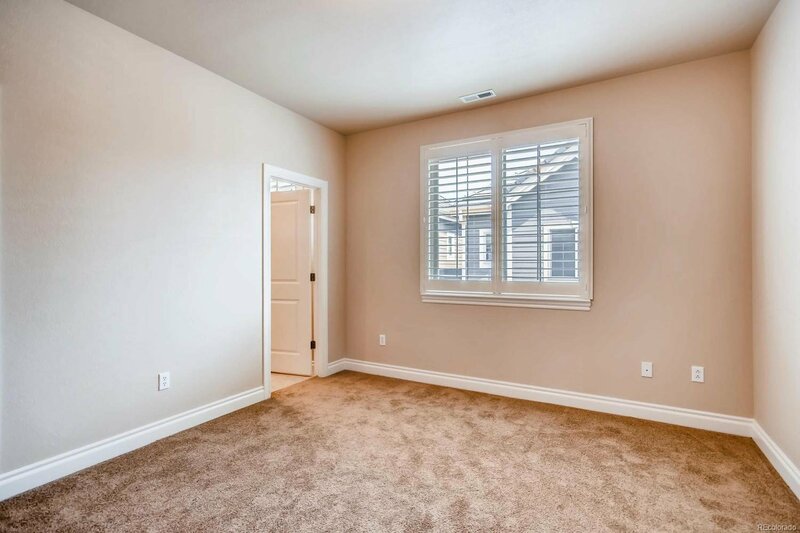 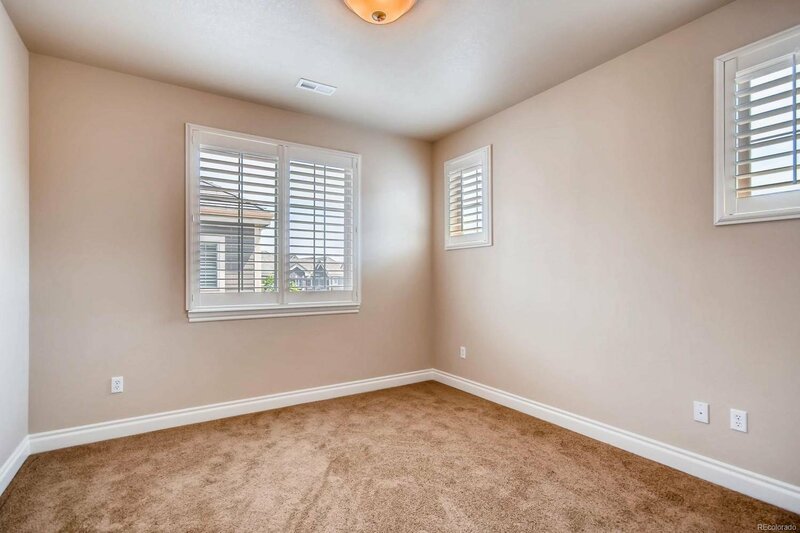 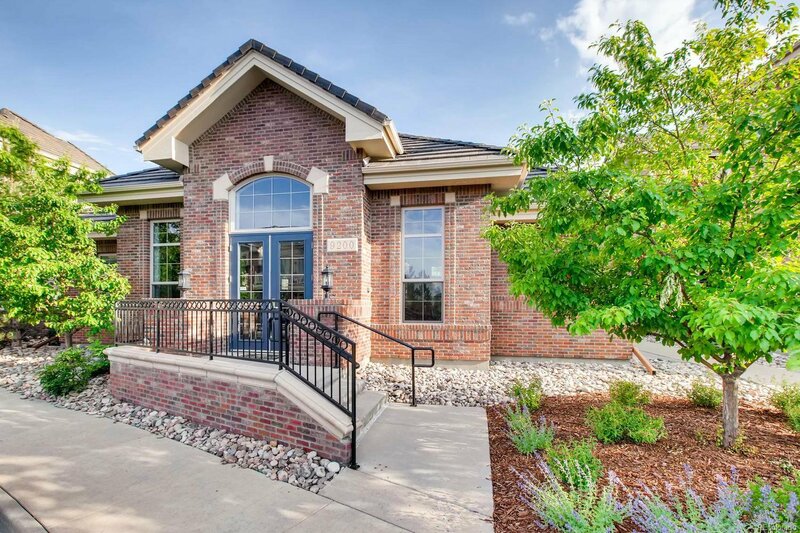 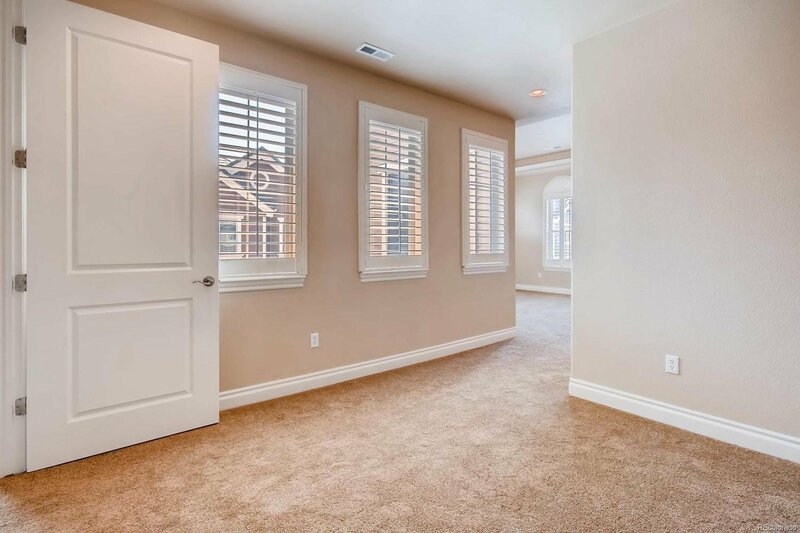 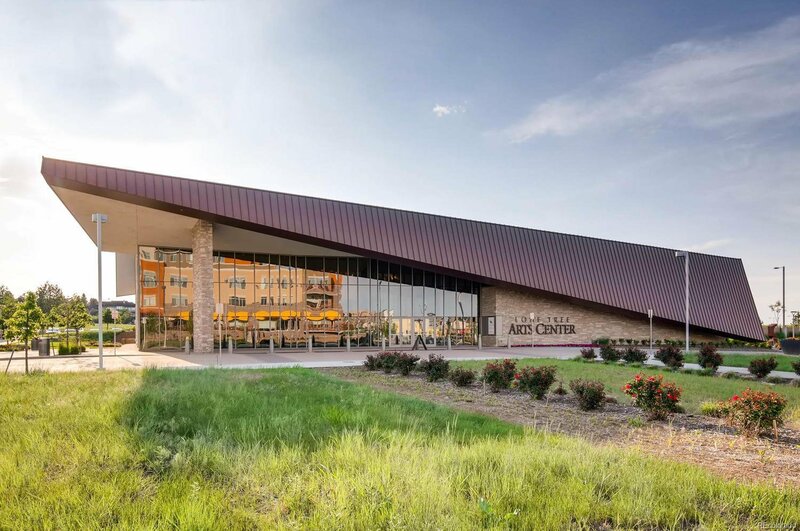 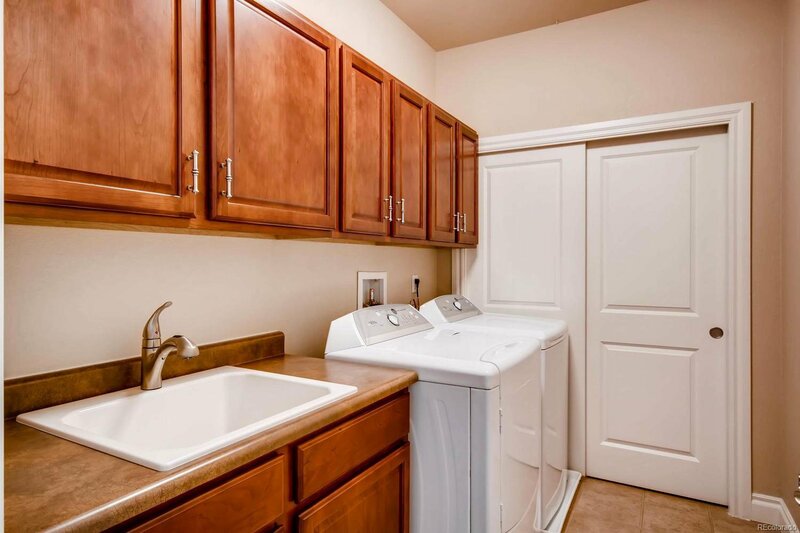 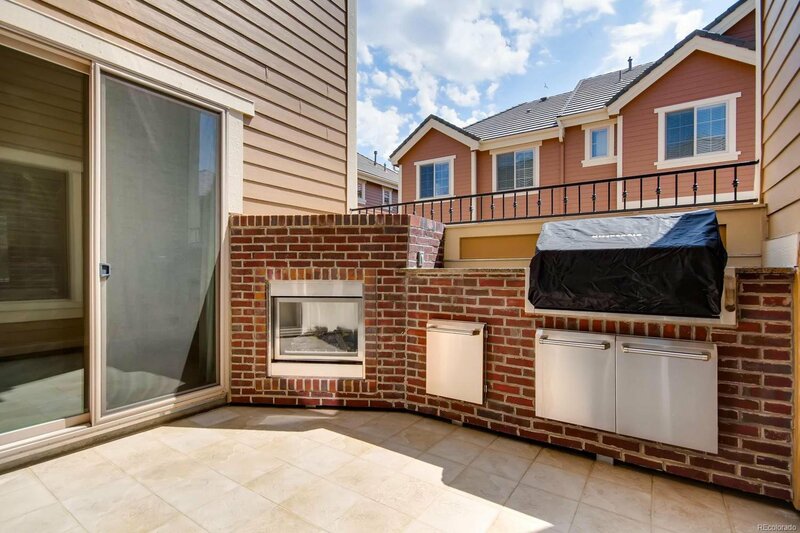 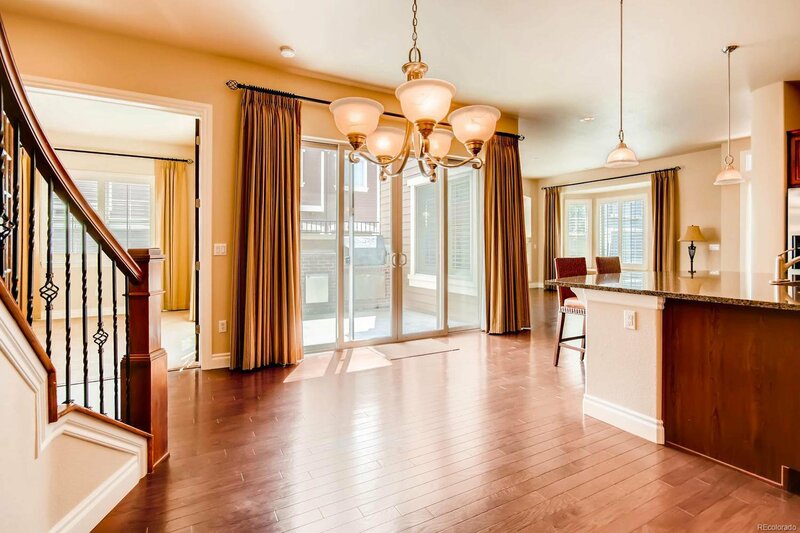 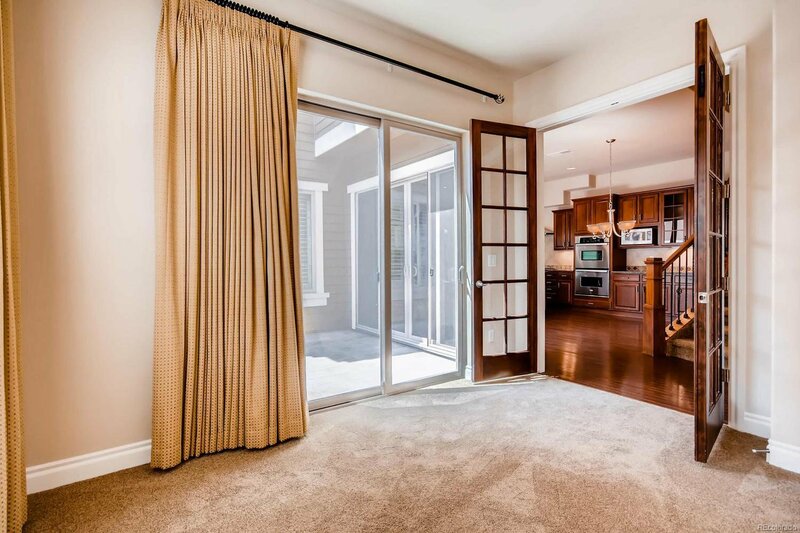 Finished garage, Great location within walking distance of world calls shopping, dining, Lone Tree Arts Center, the new library, Skyridge Hospital, Charles Schwab campus, light rail, and hiking and biking trails on the bluff.